Pubcon Vegas for 2017 is shaping up to be another amazing event. I am also quite honored that I have been invited to speak and moderate several sessions again this year. 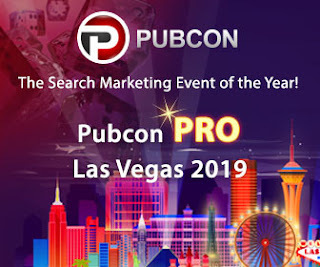 This will be my 8th consecutive year of speaking at Pubcon. In addition to speaking and moderating duties, I will also serve as track chair for the Organic SEO Track that will be held in Salon A on Tuesday. Whether you've attended Pubcon in the past, or not, this is a conference you won't want to miss. Check out the coupon code at the end of this article and register today! The first session in which I will present is entitled "Knowledge Graph Max: From Strings to Things." Eric Enge will be presenting in the session with me. In this, we will share information about how "smart" Search Engines are getting in understanding queries and content and offer hints on how you can better optimize your digital ecosystem for best results. This session will be held in Salon A on Tuesday, November 7, 2017 at 2:00pm. The second session for which I have a speaking part will be held on Thursday, November 9, 2017 at 11:10am in Salon E. This sessions is called "Reputation Management Saturation" and will cover how to saturate your online presence with the goal of positively affecting your online reputation. In this session, my co-presenter will be fellow Metro Detroiter Dwight Zahringer. 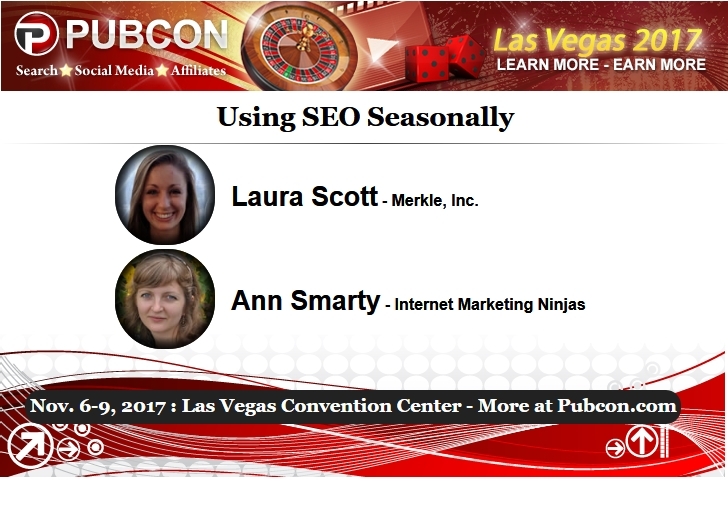 I will be moderating 2 sessions at this year's Pubcon Vegas. 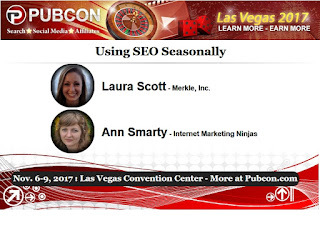 The first is a session entitled "Using SEO Seasonally" which will feature Laura Scott and Ann Smarty. For those of you involved in eCommerce website optimization, this is a great session to listen in on. This will be held on Tuesday, November 7, 2017 at 4:20pm in Salon A. Another session I'll be moderating is one that I enjoy very much: live site reviews. These sessions dish out tremendous value in free consulting and can often be worth the price of admission alone. "Site Reviews: Focus on Organic" will be held in Salon J on Wednesday, November 8, 2017 at 2:45pm. Need a reason to come? These sessions should be enough to convince you. If it's not, then maybe a 15% off coupon code will do the trick! Register for Pubcon by October 20, 2017 and use the coupon code rc-3856015 when you check out.